Sandwiched between Southeastern Europe and Southwestern Asia sits the Republic of Turkey, a country which has endured centuries of political and economic turmoil. And yet this Texas-size constitutional republic is currently in the throes of a financial renaissance (albeit one strained by a high national deficit and significant foreign debts). Between 2005 and 2007 Turkey&apos;s GDP increased by some five-odd percent, and in 2008 Istanbul ranked fourth on Forbes&apos; list of cities with the most billionaires, surpassed only by Moscow, New York, and London. While 35 percent of Turkey&apos;s population still works in agriculture, the country has seen a marked surge in those pursuing careers in other, more technically advanced sectors. 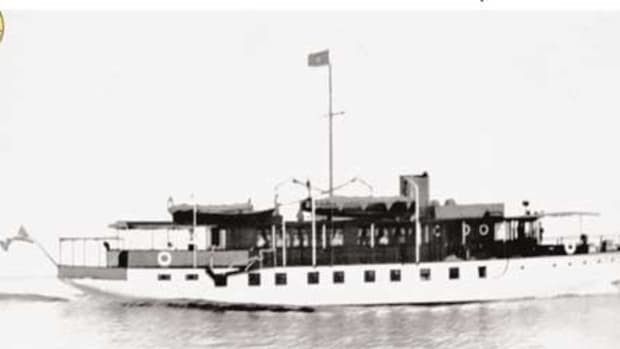 Along with electronics and automobiles, boats have become a key export, and several companies now build and ship them to Europe and the United States. Though many of these companies were founded within the past ten years, boatbuilding in Turkey is certainly nothing new. 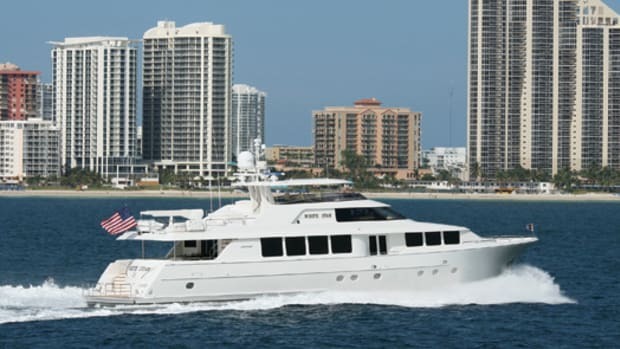 "I mean, they built Noah&apos;s Ark," laughs Michael Landsberg, president of Vicem Yachts USA. 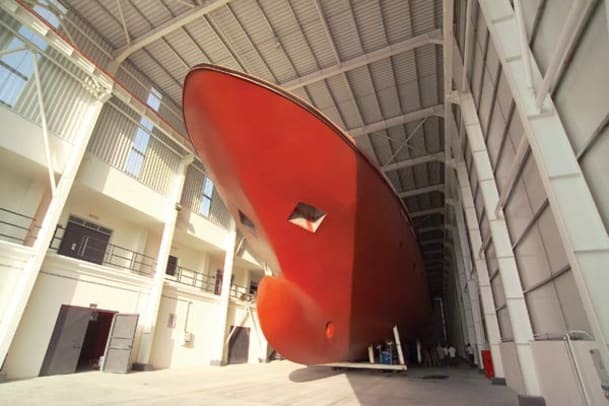 Vicem, a company that constructs yachts from 50 to 105 feet, has delivered approximately 80 vessels to Europe and the United States since it was founded more than five years ago. It has satellite offices in Fort Lauderdale, Florida and Huntington, New York, but its primary shipyard is in Istanbul. (A second is located about 500 miles south in Antalya, Turkey.) 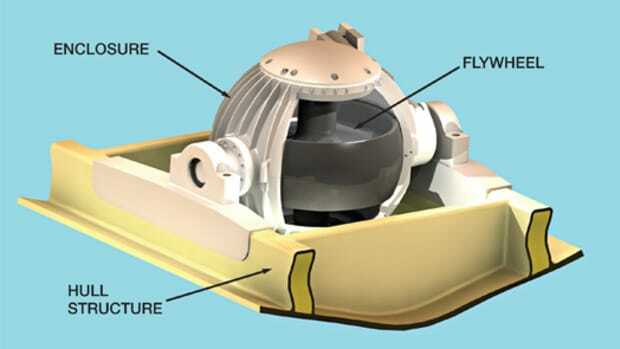 Vicem&apos;s founder, Sebahattin Hafizoglu, first came to the United States with several prototypes but almost no grasp of the English language. 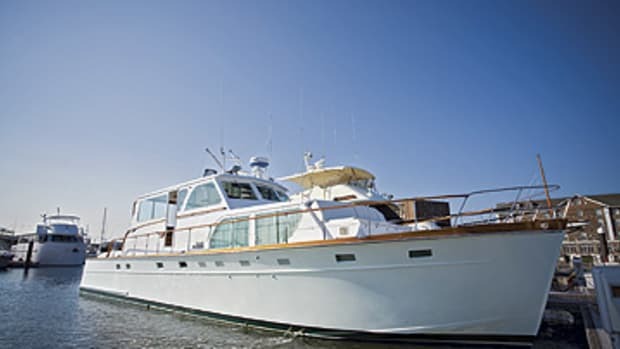 In spite of this he was relatively quick to find distributors, and today the company offers four distinct series: Classic, Sportfish, Cruiser, and Custom. Turkey is not only a growing center for boatbuilding, but also an increasingly popular yachting destination. According to Landsberg, the biggest advantage to building in Turkey is the country&apos;s history of craftmanship. "There is a well-trained labor force," he explains, "with real know-how and pride of workmanship that&apos;s not necessarily available elsewhere." The availability of highly skilled workers is due in large part to Turkey&apos;s traditional system of training: Teenagers apprentice for many years before they become carpenters. Only after many more years of instruction and hands-on experience are they promoted to master carpenter. Along the way they learn traditional skills that have been handed down from one generation to the next and that infuse Vicem&apos;s boats with a high level of workmanship. And because labor rates remain lower than in Western Europe, Landsberg points out that Turkey&apos;s raw labor costs offer significant savings. That said, he does cite several downsides to Vicem&apos;s operation in Turkey. For one, employees must contend with the language barrier and physical distance between Vicem&apos;s two Turkish shipyards and its satellite offices. But Landsberg is quick to add that the former is an issue that&apos;s common to most foreign builds. In addition, the company is forced to bring in certain supply materials from the United States, such as air conditioning and refrigeration systems and TVs. This can be a logistical challenge and increases costs, but according to Landsberg, high-quality versions of these products are not readily available in Turkey. An additional issue is that the country&apos;s distinctive traditional style doesn&apos;t always jive with outside markets. "One of the best things of building in Turkey is that there is a style sensibility that is unique. They create things that are very, very beautiful," Landsberg says. And yet for a company that produces boats with a so-called "classic" look, this unique aesthetic can be a problem. It took a few years for Vicem to iron out these stylistic issues. Interiors were made "yachtier" by swapping silk fabrics and Eastern design elements for more classically New England looks. Another boatbuilder making waves in Turkey is Sunrise Yachts, which manufactures megayachts in the 40- to 70-meter (approximately 130- to 230-foot) range. Its cofounder, Guillaume Roche, is a lifelong boater of French and Scottish descent who, after spending years building yachts in various Turkish shipyards, came to realize that it was an ideal place for him to establish a yard of his own. "He recognized Turkey as a country of opportunities where quality, cost-effective yacht building could be achieved...[and thus as] a realistic alternative to European and U.S. shipyards," explains Jean-Claude Carme, vice president of sales and marketing for the company. Carme cites many of the same benefits to building in Turkey as Landsberg: skilled craftsmen and good labor rates (40 percent of those in Western Europe). He also offers up a few other pros. "It&apos;s a beautiful country to live in and an increasingly popular yachting destination," he says, "and from a buyer&apos;s perspective, with most reputable builders worldwide having full or nearly full order books for the next four years, reasonably fast building solutions are available in Turkey." Speed isn&apos;t the only thing Sunrise&apos;s operation in Turkey has going for it. 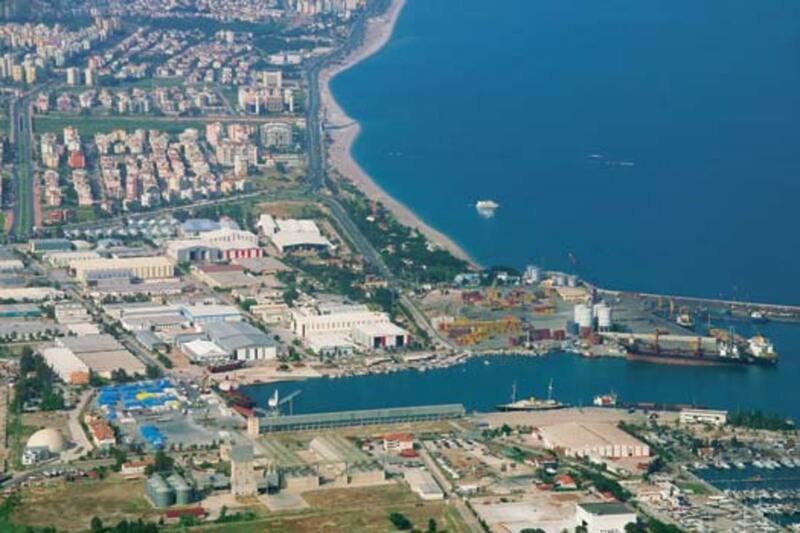 The shipyard is located in the Antalya Free Zone, near the Antalya Port. Established in 1987, the zone provides a tax-exempt environment for builders and owners, as long as their vessels are non-Turkish flagged. In addition to Sunrise, more than 40 yacht builders are based in the Free Zone. According to Carme, this means Sunrise not only saves money on taxes, but that it is situated in an area that attracts "a dense network of suppliers and subcontractors and grows the pool of trained engineers, craftsmen, and workers." In spite of this growing network, Carme admits that "the [Turkish boatbuilding] industry as a whole hasn&apos;t reached maturity yet." Thus he believes that as the prices of materials and labor increase, as they are expected to (with the projected strengthening of the Turkish lira and Turkey&apos;s possible accession to the EU), "there will be a need for improved efficiency that requires significant training and organizational programs." That process, arduous in any country, could be particularly difficult given what Carme describes as a bureaucracy that is often "heavy" and "inconsistent." Indeed, the ability of Turkey to continue to train a qualified work force and to obtain a steady supply of high-quality building materials will be paramount to the continued success of boatbuilders like Vicem and Sunrise, in addition to those that have yet to be established. 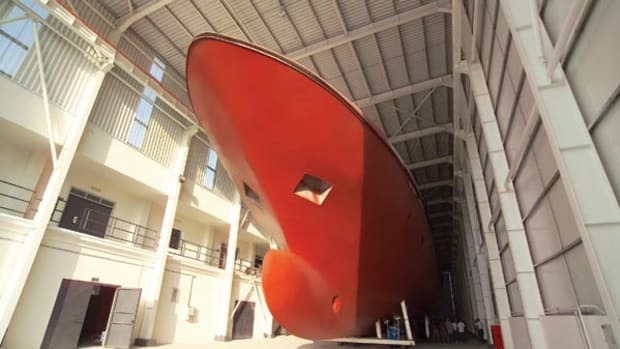 It will be interesting to see what happens in this growing industry, and what kind of inroads Turkish boatbuilders are able to make in the United States and beyond. 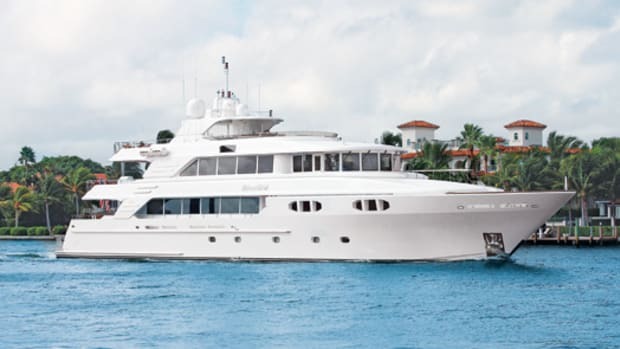 This article originally appeared in the September 2008 issue of Power & Motoryacht magazine.